backaldrin presents naturally colourful baked goods at Gulfood 2019. The hues of aronia berry and turmeric bring even greater variety to the product range, which also includes the classic Kornspitz®, traditional pretzels and sweet muffins. 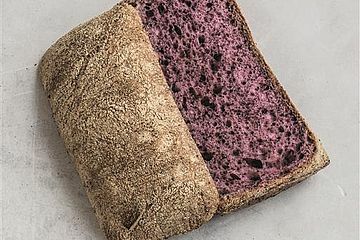 The power berry, Aronia, is compelling in every way: it contains many phytochemicals, a high proportion of vitamins and minerals and has a low sugar content, while the red and blue plant pigments combine to lend an extraordinary purple colour to bread and pastries. The new clean label AroniaMix offers an impressive variety of recipes for bread, rolls and fine bakery. 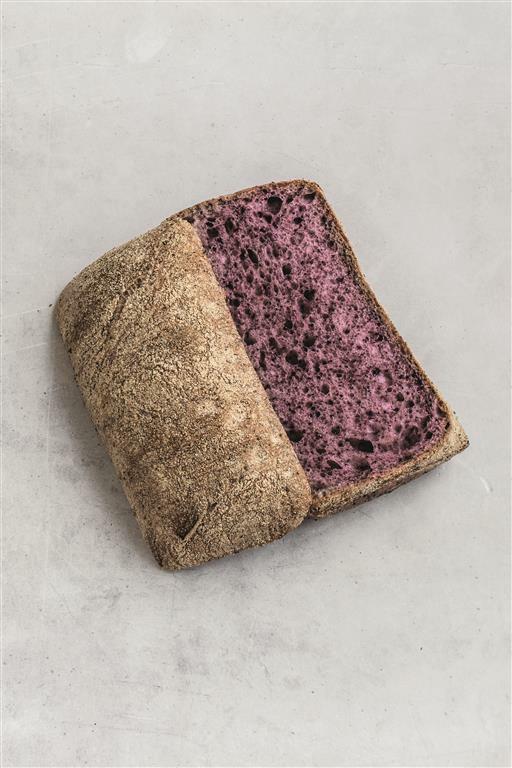 The creations are characterised by a finely splintered crust, subtle notes of caramel and a fluffy purple crumb with an almost fruity taste. AroniaMix is also perfect for use in sweet yeast dough and cake batters. The possibilities are endless as AroniaMix can be added in different dosages to any recipe. The backaldrin master bakers recommend a dosage of between 10 and 25%. AroniaMix not only creates a feast for the eyes, it also enhances baked goods with the valuable ingredients of the power berry. Thanks to its colour and distinctive taste, Kurkuma is also on everyone’s lips. 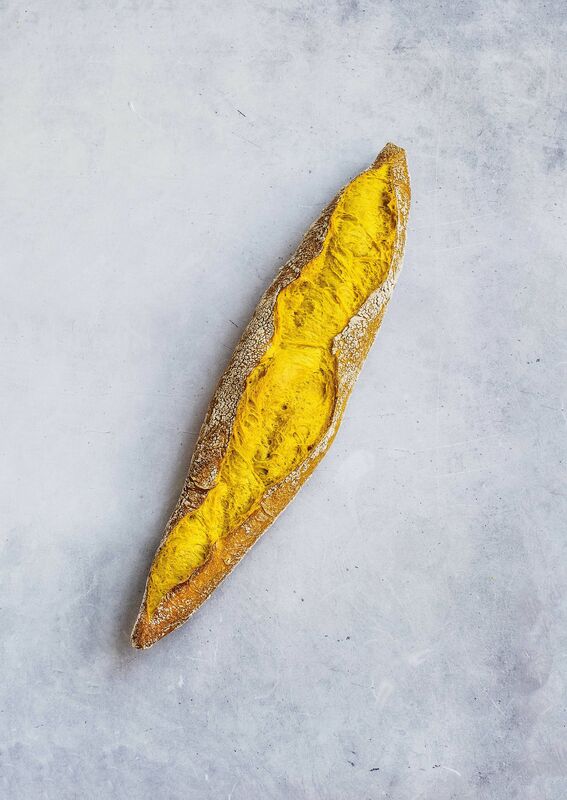 Particularly in the Arab world, the turmeric root is a well-loved and widely-used spice. 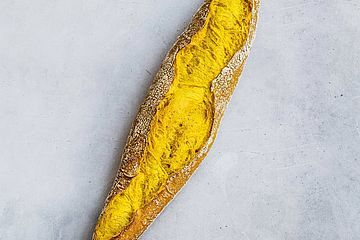 In recent times, the use of turmeric in baked goods has become an area of great interest as the plant pigment curcumin adds a sunny yellow, unmistakeable taste to bakery products. The combination of Kurkuma with Sabia – a mixture of basil seeds, flaxseeds and chia seeds with potato flakes and maize flour – makes for an especially tasty creation. Sabia is characterised by notes of pepper and spice with a hint of leek. It can be used in any dosage as a swelling piece in the preparation of dough or as a decorative sprinkling. Another current trend in the Middle East can be found on backaldrin’s stand at Gulfood 2019: waffles and crêpes. “Freshly prepared waffles and crêpes are really popular in the Arab world at the moment. So, we have developed products specifically for this market and provide our guests with samples locally,” explains backaldrin master baker Günter Koxeder, who is responsible for the Middle Eastern region. Scones, a classic English tea favourite, quickly and reliably made with backaldrin’s new mix, are also waiting to be sampled. But, alongside all the novelties, there are also tried and trusted Kornspitz® and pretzels, which backaldrin are famous for at the Gulfood, as well as muffins and classic sponge cakes available for tasting.